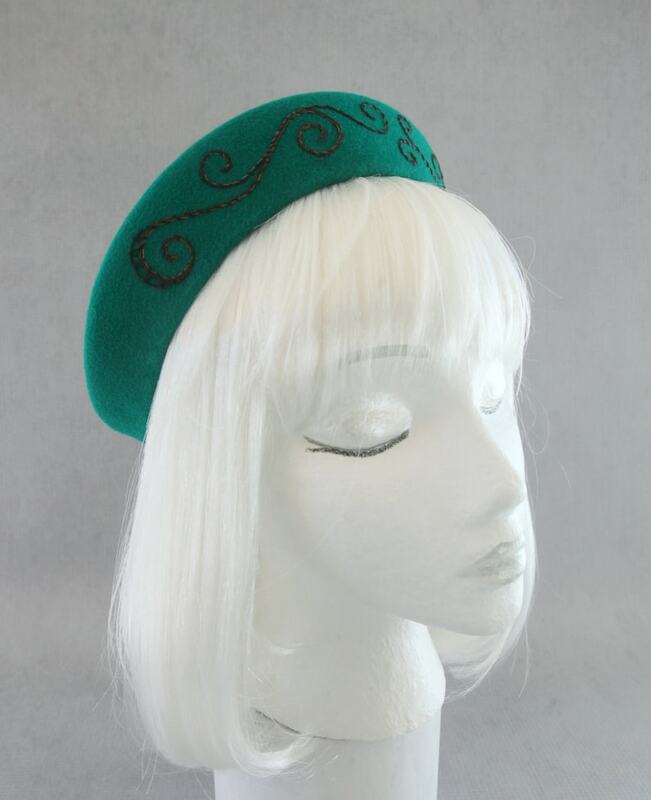 1940s style green felt hat. 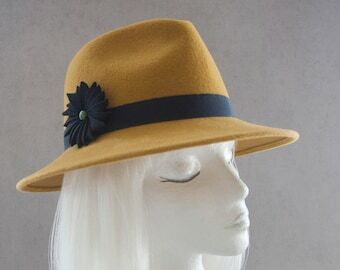 A very vintage-inspired hat, reminiscent of the halo hat styles of the '40s. 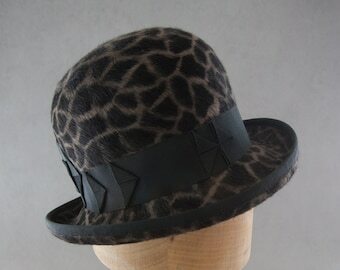 This was blocked by hand on an antique puzzle hat block. 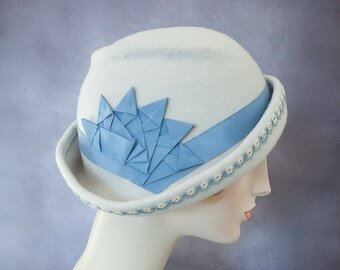 I don't know what year the block was made, but I'm guessing it's from the 1940s based on the shape. 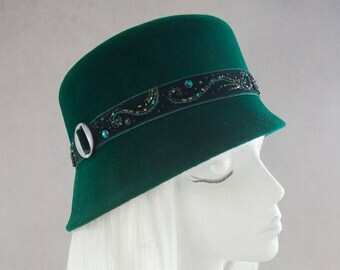 Emerald green velour fur felt, blocked on this vintage hat form. Around the front of the crown is hand-embroidered in a free-form pattern of swirls with black, gold and brown embroidery thread. 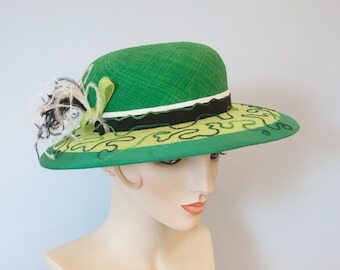 Inside is finished with a wide, green grosgrain head-size ribbon. 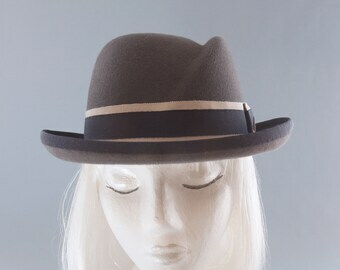 This hat is designed to be worn sitting back on the head, so it needs a way to secure it to your head. I will leave the choice up to you! 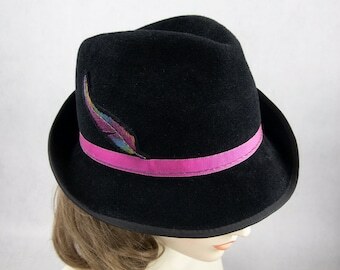 Pick what fastening style you would like, and I will add it at the time of your order.